The ultimate aim of infrastructure and economic development should be to connect all rural villages to the electrical grid with vehicle passable roads for access to markets, schools and medical facilities. However, this will take time, so other immediate actions are needed to improve the lives of the rural poor, starting with education and access to clean water for all. Education. The number one need of these people is education. All other improvements spring from that knowledge. For example, with a knowledge and understanding that invisible microbes and worm eggs cause disease, measures can be undertaken to reduce or eliminate them from water, food and surroundings. If the people believe diseases are caused by witchcraft or other capricious magic, there is no incentive to improve their infrastructure. Once they understand that there is a logical cause for diseases, improvements will be inevitable. Education can also teach childcare and literacy, as well as agricultural and trade skills. Clean Water. This can be accomplished without electricity by inhabitants if they are shown how. Clean water wells, low sand dams, slow sand filters or similar clean water resources will go a long way toward eliminating the number one killer of infants and young children, diarrhea from contaminated water. If you understood that giving your babies and toddlers contaminated surface water could make them very sick or kill them, you would gladly do whatever it takes to avoid that source or to purify the water before drinking it, and you would want to help provide and maintain other sources of clean water. They would too. Sanitation. Digging pit toilets can end open defecation and disposal of raw human waste in fields, which can reduce water contamination, illness and parasites from these sources. Human and animal wastes can still be used on fields for fertilizer, but only after composting for months or a year to eliminate harmful microbes and worm eggs. Ending open defecation and wearing shoes can end most worm infestations. Composting before using manure has an added bonus because raw or “green” manure can harm plants unless allowed time to decompose. Otherwise it can “burn” plants. NOTE: “green manure” as used here is historical terminology for poorly decomposed or raw manure. Under new terminology, green manure refers to plant material that is composted. Insect and Disease Control. Here again, education is important for understanding measures to prevent mosquito breeding and to protect themselves from bites. DDT and other insecticides offer real hope for reducing or eliminating insect vectored diseases. Bed nets treated with insecticides will reduce bites on sleeping people, but that is only part of the answer. Flies, fleas, lice, ticks and mites also carry many diseases, so elimination of these insects from within the home is important. Diseases and parasites can be cured with medicines and medical facilities, ending the cycle of spreading diseases. Roads. Passable roads are important to break the isolation trap. Many road improvements can be done gradually by villagers if there are enough healthy people and incentives to do the work. Roads are important to be able to get to medical facilities and for access to markets to sell their crops. Electricity. Access to electricity or gas for cooking and heating can reduce indoor air pollution from bio-based cooking fires and facilitate water purification for homes, schools, clinics and hospitals. With electricity, houses can be closed against insect entry by using screens and fans for cooling. With electricity, refrigeration is possible for safe storage of foods. Electrification usually needs input from outside the village to accomplish. Mini and micro loans can be used to build local low capacity hydroelectric dams or diesel power plants and medium to low voltage transmission lines locally. All other short-term solutions listed here can be accomplished very quickly by knowledgeable, healthy, and trained inhabitants. Again, education is the key. Teaching local people how the do these things will go a long way toward raising their standard of living, improving their quality of life, lowering under-five mortality and raising life expectancy. See next blog post for longer term solutions to improve health of the rural poor and raise the economy beyond extreme poverty. The book: Saving Africa from Lies that Kill: How Myths about the Environment and Overpopulation are Destroying Third World Countries is available in print and eBook online at Amazon, Barnes & Noble, Books a Million and in bookstores. If you like the book, please leave a review online at Amazon.com or other outlet. This is the second in my Modern Mythology Series. My first book, Perverted Truth Exposed: How Progressive Philosophy has Corrupted Science was published in 2016. It is available in print and ebook, on line only, through World Net Daily store, Amazon, Books-A-Million and Barnes & Noble. See the companion blog at www.realscienceblog.com for related posts and pages. The Book: Saving Africa from Lies that Kill: How Myths about the Environment and Overpopulation are Destroying Third World Countries. Now you can help end the unnecessary misery in Africa and other developing countries. No, not just by throwing money at the problem; rather, you can help advocate to end the stagnation caused by outdated wrong attitudes and practices. Africa needs Education, Employment, Investment, Infrastructure and Disease Control to bring them into the 21st century. Africa can grow new burgeoning markets, a source of new goods, new business opportunities and a new workforce for existing businesses, which can break the hold of Chinese goods and services. Investment, rather than foreign aid to corrupt governments is the key, as well as ending counterproductive practices by international organizations. Fortunately, you can do something about the problem–and Kiser shows you how. Available online and in book stores everywhere. In print and eBook through Amazon, Barnes & Noble, Books a Million. Note: some bookstores may not have it yet, but asking for them to order it for you will help to get it on the shelves faster. After reading the book, please remember to review it online; share it with a friend and do your part to end bad practices. Visit my blog for more information to sign up for email updates at https://savingafricafromliesthatkill.com/ , and like my Facebook page. International organizations deny essential services to control poor countries – part 2. Many international organizations propagate drastic population control measures under the radar while publicly advocating and providing (some) aid to the poor and endorsing environmental concerns. This includes governmental and nongovernmental agencies such as UNESCO (United Nations Educational, Scientific and Cultural Organization), IPCC (Intergovernmental Panel on Climate Change), UNFPA (United Nations Fund for Population Activities), The World Bank, USAID (United States Agency for International Development), the Club of Rome and its many spin-offs, Worldwide Fund for Nature, formerly called World Wildlife Fund (WWF), Green Peace, Population Council, International Planned Parenthood Federation, etc. See Part 1 for more details about this. 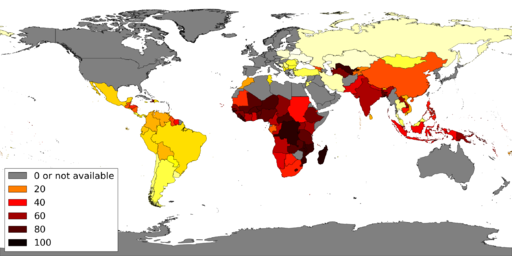 As a part of the Population Control Agenda and the overpopulation myth, in addition to enforced sterilization, abortion and birth control methods, other means of limiting both population and life span have been applied to impoverished countries and are often tied to reception or denial of aid or loans[i]. DDT and Disease Control: Banning DDT has caused a rebound of malaria, once almost eradicated in many areas, and many other insect borne diseases, resulting in an estimated million deaths each year from malaria alone. (Estimates vary, but the real number is unknown.) Many of the agencies named above, as well as many Western nations, withheld funds from foreign aid and loans for development unless underdeveloped countries abandoned DDT. Poorer nations had no choice but to “voluntarily” ban the use of DDT to control insect borne diseases, which account for 80% of infectious diseases in these countries. The economic loss in human productivity from malaria, TB and other diseases is incalculable. Further research has disproved the claims of Rachael Carson’s book, Silent Spring, that DDT causes environmental harm to birds or aquatic life, cancers or other human harm. Predictions of an upsurge in cancer and extinction of birds failed to materialize. Not one human has ever been seriously harmed or died from its use or abuse, and robins to eagles flourished during and after its 30 year use in the United States. DDT is practically insoluble in water, so no aquatic toxicity is possible and soil bacteria destroy it in a few weeks or months, ending any persistence. It is cheaper than other insecticides, and is safer and easier to make, handle and distribute. The claims that insects in poor countries developed immunity to it are false or grossly overblown. (Also, many African countries lacking transportation infrastructure never used DDT in the past so that development of resistance was impossible.) India never participated in the ban, manufactures its own DDT and uses it judiciously with occurrence of very little resistance. The UN standards for allowing use of DDT include unrealistic proof of NO DDT resistance in the area. That’s proving a negative, which is impossible. The aim is not to exterminate every mosquito, but to reduce their numbers until there are no more human carriers. In addition to DDT treatment on interior walls for mosquito control, insect and parasite control must also include replacing thatched roofs where mosquitos hide with metal or tile, sealing the interior of homes from insects with wire screens that allow cooling air in but exclude insects, as well as education, fly swatters and glue strips, clean water to prevent dysentery and waterborne parasites, shoes/ sandals to keep pinworms and other parasites from entering through the feet, closed toilets, preferably with septic systems, to reduce fly-borne diseases. Malaria Facts: Malaria drugs can cure malaria if available, but symptoms only appear after 9 to 14 days or longer, by which time there may be liver or kidney damage. Once symptoms appear, malaria can kill in as little as one day or persist for weeks or relapse over a longer period of time. Reinfection is possible since the parasite imparts only partial immunity. Each bout of malaria destroys red blood cells equivalent to a pint of blood, resulting in chronic anemia and kidney damage from repeated bouts for much of the African population. Babies, children, pregnant women, the elderly and the infirm are especially vulnerable. The malaria parasite requires both humans and mosquitos to complete its life cycle. Mosquitos are “born” clean and must pick up the parasite (Plasmodium sp.) from an infected person. It takes another 10 days for the parasite to change into the stage that is infectious to humans. No infected humans, no malaria even though the mosquito vector may still exist. That is why it did not recur in North American and European countries when DDT was banned after 30 years’ use. Human malaria does not infect animals and vice versa, with the rare exception of Plasmodium knowlesi, a primate species found in Southeast Asia. Solar and wind power are, by their nature, inconsistent, unreliable and intermittent. Solar only works during the day when the sky is clear or nearly clear. Wind only works on windy days, but only in a narrow range of velocities; too slow doesn’t generate power; too fast and both blades and generators are damaged unless switched off. Wind power kills birds and bats that are important for insect control, and creates infrasound that is harmful to humans and animals. Both solar and wind power require backup generation by other means: fossil fuel, hydroelectric, etc. Solar and wind power are only useful as supplemental sources so they are at best temporary solutions. Single home solar panels are only a feel-good drop in the bucket for the estimated 600 million needy people in sub Saharan Africa. It would be impossible to supply enough of these to make much of a difference, and is at best a temporary solution until rural power systems can be provided. Arguments against other types of power plants usually involved cost of installing transmission lines. However, except for single home solar systems, all types of power have the same requirements, including solar and wind, which require more lines to harvest the power from the sources. It is well documented that environmentalists have stopped or prevented over 200 hydroelectric dams in Africa, although it is the most sustainable, reliable, cleanest and safest energy source and uses conventional materials and technology. Hydroelectric power doesn’t require huge dam projects. Systems based on even small waterfalls, dams or run-of-the-river systems can supply local power much sooner and cheaper. African rivers have sufficient hydroelectric power generation capacity to supply all of the continent’s needs for the foreseeable future. Only a tiny fraction of it has been developed. One ray of hope is the large Grand Ethiopian Renaissance Dam (GERD) being built on the upper Nile with a capacity of 6000 MW. For comparison, the Aswan High Dam in Egypt has 2100 MW capacity and Cohora Brassa in Mozambique has 2075 MW capacity. There are already a number of medium to small capacity systems in Africa including three plants at Victoria Falls. Many more are possible and needed. India was an early pioneer and has become a leader in hydroelectric power generation, exports power and provides engineering support for new systems to other countries. Geothermal energy is available in seismically active areas in Africa, mostly in the Rift Valley. By sinking wells into thermal strata, steam or hot water can be used to run electricity generators. The technology is well established but development is just beginning in Africa. Other sources of electrical power generation include biomass and tidal generators. Biomass has major drawbacks, including pollution and loss of vegetation from biomass burning. Nuclear is among the cleanest power sources with no emissions, and only limited waste handling issues. Fear of nuclear power is mostly propaganda citing a few rare catastrophes. The way out of Energy Poverty should involve an all-of-the-above approach, including fossil fuels, geothermal, hydroelectric, nuclear, solar, tidal, biomass and wind. The need is too great in lost lives and productivity to wait. The need is urgent. Once Energy Poverty is eliminated and other systems are in place, then fossil and bio-fuel power plants could be phased out or reduced in favor of hydroelectric, geothermal and nuclear power. Availability of reliable electricity and natural gas are important for economic development, industry and medical infrastructure as well as home cooking and refrigeration, which are needed to provide a safe, clean food supply and to reduce harmful indoor air pollution from bio-fueled cooking and heating fires. Electricity can solve a host of other problems including water purification, sanitation, roads, railroads, airstrips, access to markets and medical facilities. Clean Water and Sanitation: Lives and health are impacted by holding as a low priority the development of village clean water wells or providing city slums with at least rudimentary piped-in purified water and sanitation systems. The environmentalist myth of dwindling global water supplies and limited resources is included in the justification of these policies, although village wells and reservoirs behind even modest hydroelectric dams could supply all their needs. Many African women spend hours each day carrying water from streams and lakes, which contains dangerous bacteria and parasites. The result of this is high infant and childhood mortality from intestinal parasites and diarrhea, the number one killer of young children in poor countries. Sanitation is also needed but ignored, now consisting of open pit toilets, at best, or simply defecation and urination in fields and streams. Flies carry disease from these sources, including tuberculosis (TB), leprosy, typhoid, cholera, dysentery, polio, anthrax, salmonella, parasite eggs and numerous other diseases. With electricity, water pumping and purification as well as flush toilets and local sewage treatment plants are possible. As a start, clean water wells with manual pumps are needed in local villages as well as replacing open pit toilets with septic systems that enclose waste. Without electricity, both hand pumped clean water wells and improved pit toilets to end open defecation can and should be made available as soon as possible. Transportation: The development of roads and railroads needed for economic development and access to healthcare facilities, employment opportunities and markets is discouraged or prohibited, as disruptive to wildlife habitats. Roads and railroads are erroneously assumed to break up habitats, isolate wildlife populations and disrupt seasonal migration patterns. All of these myths have been thoroughly refuted in areas where new roads and pipelines have not disrupted migration and sometimes resulted in more not less wildlife. Modern Agriculture: Modern agricultural methods and high yield crops are discouraged or prevented in favor of less productive, more labor intensive subsistence, so-called sustainable, aka organic, farming, “for the good of the environment.” This has the opposite effect and causes soil depletion that naturally results in slash and burn deforestation as depleted fields must be abandoned for freshly cleared land. Modern agriculture is a more sustainable practice, requiring only rotation of crops on fewer acres than subsistence farming and greatly increased yields per acre. Higher yield per acre means fewer acres are needed to feed a population, saves forests and makes surplus produce available to sell or trade. Modern agriculture using fertilizers, pesticides and improved crop varieties are opposed by organic farming organizations and subsidizing governments in developed nations. The Green Revolution of improved varieties and practices, available for 50 years, has been applied successfully in some African nations, but only in areas with adequate roads for access to markets. Building the transportation infrastructure could facilitate introduction of modern agriculture in less developed areas. GMO[ii] aka Biotech and Improved Crops: Banning or discouraging the use of more productive, more drought, insect and disease resistant and more nutritious conventional high yield and GMO crops for improved yields and better nutrition is a crime against humanity. For example, GMO Golden Rice, provides vitamin A that could end the cycle of blindness and death among the poor whose diets are dominated by rice. The European Union has a ban on all agricultural products, not just GMO, from countries that grow any GMO crops. This ban is largely based on protecting subsidized European farmers from competition by African, Asian and American produce. Governments of many poor countries choose to ban GMO crops so they can sell their produce to the European Union, not because of any fears of GMO scare stories propagated by anti-GMO advocacy groups. These advocacy groups are backed by Western organic farming organizations to suppress their domestic and imported competition from high yield conventional and GMO crops, thus increasing their market share. GMO is a term used by these groups for biotech improved varieties to imply harmful when it really means improved food crops by inserting specific genes to enhance characteristics such as higher nutrition and crop yields, drought, disease and insect resistance and reduced need for pesticides. Contrary to scare stories, most companies have given away rights to many of these crops to help poor people, who can choose to grow them or not. Contrary to propaganda of anti-GMO advocates, no one is forced to grow GMO or buy any agricultural chemical. Propaganda would have you believe the big bad Monsanto is holding the world hostage, but the truth is that there are at least 60 developers in a dozen countries involving at least one beneficial modification in each of 30 varieties of fruits, vegetables and fibers. Why would so many develop and promote products that harm their customers? That’s illogical and ridiculous! Industry: Environmentalists and communists discourage development of industry, including manufacturing and natural resource extraction (oil, gas, coal, minerals), as exploiting the workers and harmful to the environment, rather than, in reality, providing employment while raising the standard of living and improving environmental stewardship. The result is high unemployment, unabated poverty and an inability to care for the environment. Control of diseases that now cause high absenteeism and low productivity is as important as reliable electricity for industry. (see DDT above) Foreign and domestic investment and development should be encouraged. Support from industry could further economic and infrastructure development. Medicine: The UN and environmental organizations have failed to make local medical facilities and medicines available to rural areas. This is tied to failure to provide adequate roads and railroads as well as natural gas and electrical power needed for these facilities and their availability to the rural poor. This is also linked to the population control agenda. In many areas, healing medicines and facilities are lacking essential medicines and devices, while birth control and sterilization facilities are well stocked. Education: Failure to build schools or to provide instruction in hygiene, nutrition and childcare, and to train the people for skilled and semi-skilled labor, modern agriculture and small business administration. There is also a great need for higher learning facilities to provide medical, technical and leadership personnel. HIV/AIDS: Diagnosis in rural areas based on symptoms without confirmation of the virus is an excuse for not treating longstanding endemic illnesses and malnutrition. Most of those “diagnosed” with AIDS in poor countries have not been tested for the actual HIV virus. They have been assumed to have HIV/AIDS through disparate symptoms such as fever, headache, rash, sore throat, swollen lymph nodes, weight loss, chronic diarrhea and/or cough, all of which can be caused by malnutrition and many common parasites or infectious diseases as well as severe illnesses such as malaria or tuberculosis (TB). The United Nations has named TB as a leading indicator of AIDS. By the UN diagnosing AIDS from symptoms without lab tests, many TB and malaria victims were left untreated, resulting in higher death rates, (falsely attributed to HIV/AIDS). While TB and other chronic illnesses often weaken the immune systems and cause acquired immune deficiency, i.e. AIDS, it has nothing to do with HIV or sexual behavior. This deception has a triple whammy for the UN. It excuses high death rates and failure to treat endemic diseases, it incentivizes HIV/AIDS research funding in developed countries by falsely declaring it a pandemic, and it has the potential for vindicating population control programs in the minds of potential donors by creating a false picture of rampant immorality and promiscuity. Even with HIV/AIDS diagnosis, treatment should concentrate on treating the presenting malnutrition and endemic diseases first, e.g. malaria, TB, etc., instead of starting with AIDS chemotherapy, which further depresses the immune system, or no treatment at all. It should also be noted that those actually tested for HIV/AIDS in urban settings may be misdiagnosed due to low specificity of the test, failure to properly retest and several factors such as pregnancy or other diseases that cause false positives. Manufacturers of the tests require retesting by more than one type of detection protocol for confirmation. The unusually high incidence in South Africa, (60% female at a rate of 15-25% of the population compared to less than 2% in other countries,) may be due to administration at gynecological clinics and failure to retest by more than one method. Any retests are only done by the same protocol as the original diagnosis. Here again, treatment of the endemic diseases first is crucial. HIV/AIDS doesn’t kill people; it cripples the immune system and reduces resistance to other diseases. Note: retesting after HIV/AIDS treatment is started may result in false negatives so it is useless. Cultural Preservation (Stagnation): Environmentalists promote preservation of primitive cultures in toto as of higher importance than developing higher standards of living while preserving cultural heritages. There is no harm to the cultural heritage by replacing thatched roofs with metal or tile roofs and adding doors and screens to keep out insects and small animals, as well as other “modern” improvements such as electric lights, refrigerators and stoves; a clean water well and proper toilets; a road passable by vehicles to get to markets and clinics, etc. Political Unrest: Failure to address political corruption, violence and terrorism creates a climate that tends to keep out aid workers from charitable organizations. It also puts roadblocks in the way of developing the economy, industry, education, healthcare, electrical power and transportation infrastructure. Violence in any form must be controlled for development to advance. Pressure by international organizations should be applied to address corrupt governments, lawlessness and violence. Anticolonial propaganda was and is spread by socialists and communists as a way to control the people and make them suspicious of development efforts by Western charities. Muslim groups have also propagated these scare stories. In the 1960s the Soviet Union stirred up anti-colonialism among African nations leading to demands for independence from colonial powers without adequate preparation for proper self-governance. This was #43 of the 45 Communist Goals revealed by Dr. Cleon Skousen in his 1958 book The Naked Communist and read into the Congressional Record in 1963, “#43. Overthrow all colonial governments before native populations are ready for self-government.” 35 African nations became independent in the 1960s, half a dozen in the late 1950s and a similar number in the 1970s. Of course, a large part of the blame falls on the colonial powers that failed to prepare the people for self government or to develop sufficient infrastructure needed for economic development. Rather than a fast overthrow without preparation, a more gradual training and handing over of the government would have prepared them better for self-government and avoided much of the political upheaval, power struggles and violence. In Summary: As can be readily seen, these priorities are upside down, many having the opposite effect of their stated goals. Keeping people on bare subsistence almost guarantees high birth rates to help farm and in anticipation of high infant and childhood mortality, while causing maximum harm to the environment. To develop a robust economy, a healthy workforce and infrastructure to facilitate economic development are needed. By far, disease control and electrical power are most needed and can drive development. DDT and electricity could jump-start this development followed by transportation, clean water, sanitation, and medical facilities. Control of insect borne diseases would eliminate high rates of employee absenteeism, encourage both domestic and foreign investment in manufacturing and other industries, and provide much needed jobs and money to raise families out of poverty. Private corporations in Western countries need to take a fresh look at Africa for investment in foreign production in lieu of communist China. Investment in infrastructure could produce significant benefits while raising the standard of living of millions and developing new markets and protecting the environment. Such successes could have a domino effect. Small starts can become large movements. Already, the future is bright in cities where adequate infrastructure has attracted foreign and domestic investment. In these areas, business sectors outside agriculture and extractive industries are making significant progress. Get involved. You can do your part as individuals by donating to worthy charities, not UN and Red Cross/Crescent, which squander donations and work through corrupt governments. World Vision http://www.wvi.org/about-world-vision and Samaritan’s Purse https://www.samaritanspurse.org/ ) lead my list of worthy charities for helping needy people directly. Both feature designated donations and have Christmas catalogues that allow donors to buy shares of projects such as clean water wells, medicines, schools, cattle and small animals, agriculture and small business training and support, etc. [ii] GMO or “Genetically Modified Organisms” is a term invented by the Organic Farming Industry to scare people into avoiding such improved foods. “Non-GMO” is an ignorant term that is used for advertising purposes and to placate Big Organic’s smear campaigns. There is absolutely no benefit to it. The better terms are Precision Agriculture or Biotech Crops. So-called GMO involves a process where a specific plant gene is inserted into a plant to give it beneficial characteristics. Earlier plant breeding processes used a shotgun approach where whole genomes are involved in cross breeding or radiation treatment, and hoping that more beneficial than harmful genes will show up in some off-spring. International Organizations Deny Essential Services to Control Poor Countries, Part 1. Most people assume that trusted international leaders and nonprofit organizations would value life and want to raise the standard of living and lifespans of people in less developed cultures. This has apparently not been the case for many internationally recognized governmental and non-governmental agencies. Among the preponderance of international organizations, the focus is on reducing the population and maintaining the status quo, not on humanitarian aid or developing underdeveloped cultures. Although this is slowly changing through various charitable organizations, most official international agencies give only enough aid and support to barely sustain the under-privileged, but not enough to raise their standard of living, develop their infrastructure or change their long range outcome. It has repeatedly been demonstrated that raising the standard of living and health of impoverished peoples is the best way to both stabilize the population and protect the environment. For those dealing with high infant and childhood mortality and struggling to feed their families, high birth rates in anticipation of those losses, and to provide farm labor for subsistence farming along with an inability and unwillingness to protect the environment are the natural consequences. Destitute people will do whatever is deemed necessary to survive, including harming the environment. You would, too. Thus, progressive policies that keep indigenous peoples in their poverty and squalor for “cultural preservation” or to “save the planet” have the opposite effect of their stated ends of preserving the environment and improving human life. Many international organizations propagate drastic population control measures under the radar while publicly advocating and providing (some) aid to the poor and endorsing environmental concerns. This includes governmental and nongovernmental organizations (NGO) such as UNESCO (United Nations Educational, Scientific and Cultural Organization), IPCC (Intergovernmental Panel on Climate Change), UNFPA (United Nations Fund for Population Activities), The World Bank, USAID (United States Agency for International Development), the Club of Rome and its many spin-offs, Worldwide Fund for Nature, formerly called World Wildlife Fund (WWF), Green Peace, Population Council, International Planned Parenthood Federation, and many others. Many of these organizations swap and share members and leaders, and cooperate to help each other toward common population control goals. The Population Control agenda is rooted in the Eugenics movement that considered brown and black people to be inferior to the white race. When that became unpopular, they hid this origin and emphasized the overpopulation myth and population control “for the good of the planet.” Meanwhile they still maintaining an attitude that brown and black people are incapable of improvement and need to be taken care of and led. This is a pernicious lie! The present state of environmental and economic suppression and control is still a form of colonialism. There is hope for Africa and other underdeveloped countries to become economically independent, but priorities and attitudes must change. The Club of Rome describes itself as “a group of world citizens, sharing a common concern for the future of humanity.” Its members includes current and former heads of state, UN bureaucrats, high-level politicians and government officials, diplomats, scientists, economists and business leaders from around the globe. Ostensively a charitable organization, it really advocates for control of population in underdeveloped countries as its primary goal and attempts to influence governments through its high-level members. In 1972 it published a report entitled The Limits to Growth. In its own words, its mission is “to act as a global catalyst for change through the identification and analysis of the crucial problems facing humanity and the communication of such problems to the most important public and private decision makers as well as to the general public.” As such, it has been one of the primary promoters of government and NGO policies limiting reproduction in poor countries by withholding aid and loans unless strict population control measures are in place. DDT for control of insect borne diseases. (80% of diseases) Aid denied unless banned. See DDT Needed Now in Underdeveloped Countries for safety information. DDT was demonized and banned for political, not scientific, reasons. Clean Water and Sanitation to reduce diseases. Some charities are trying to fix this. 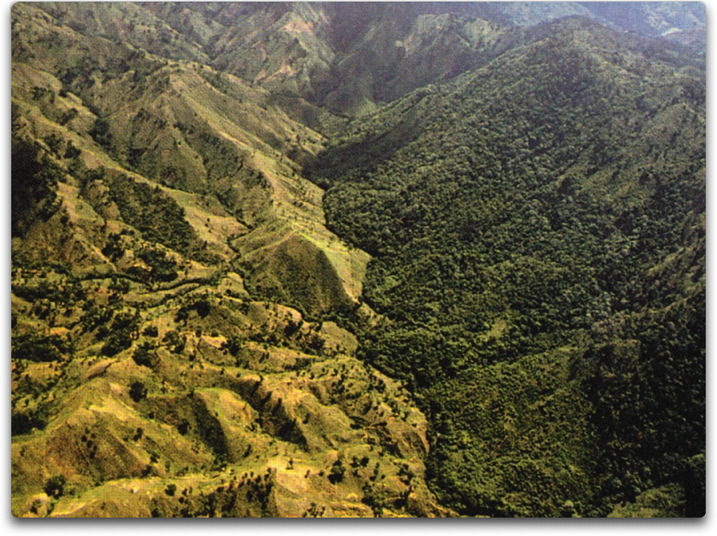 Modern agriculture is discouraged in favor of slash & burn subsistence (so-called “sustainable”) agriculture that causes land depletion and deforestation. HIV/AIDS diagnosis without confirmation as excuse for not treating TB, Malaria, etc. Cultural Preservation in toto is encouraged, rather than economic development. Political Unrest is allowed to persist that discourages involvement by charities, investors. Anti-Colonial Propaganda is used to scare people from accepting assistance/expertise. Of these, disease control and electrical power are the most important because they can facilitate many of the other items on the list, and kick-start the economy. A healthy workforce and power to run industry, business, medical facilities and transportation are key to economic development. Although many African countries need foreign aid and international loans now, the goal should be to help them raise their economy to the point where they are net contributors to the world economy or at least are self sufficient. Longterm gov’t to gov’t foreign aid props up corrupt dictators instead of developing infrastructure, encouraging investments and raising the economy. Accountability is needed. Developing countries need Infrastructure, Investment, Education, Employment and Disease Control, not handouts that keep them dependent. The population control agenda has been so successful in developed countries that for many countries birth rates are below replacement levels of 2+ children per couple. This is becoming a problem for countries like Japan and Germany where employment quotas for even essential services are hard to fill and an aging population is dependent on the care of fewer offspring. This will remain a problem until birth rates rise again to above replacement rates. Buy. Read. Learn. Defeat people-hating greens. Win.